Volkswagen's premium midsize sedan, Jetta, has received the TNS Voice of the customer award in its segment. The Jetta was awarded based on TNS' study. The Total Customer Satisfaction Study covered 63 car models across all passenger car segments, with a sample size of more than 8,000 car owners across 28 cities in India. The D1 segment in which the Jetta operates is a highly competitive one. 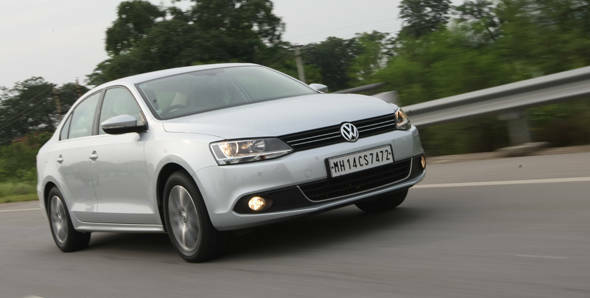 The Jetta has also been one of the sought after contenders in this market. With competition building up constantly, it is every carmaker's idea to provide customers with not just a product but an experience. The Customer Satisfaction Study samples were tested in various different areas. The Jetta came on top in areas like quality, brand image, sales & after-sales service, cost of ownership and performance in delivering total satisfaction to its customers. "Premium Midsize Sedan is a highly competitive category. The customers are knowledgeable as well as demanding. It is creditable for Volkswagen Jetta to provide the highest level of satisfaction to such customers," said Pradeep Saxena, Executive Director, TNS Automotive. The Volkswagen Jetta takes on the likes of Toyota Corolla, Hyundai Elantra, Chevrolet Cruze and Skoda Laura. With the new Octavia being announced, the completion for the D1 segment is only going to get hotter. The Jetta is currently available with a 2.0-litre TDI and a 1.4TSI engine.